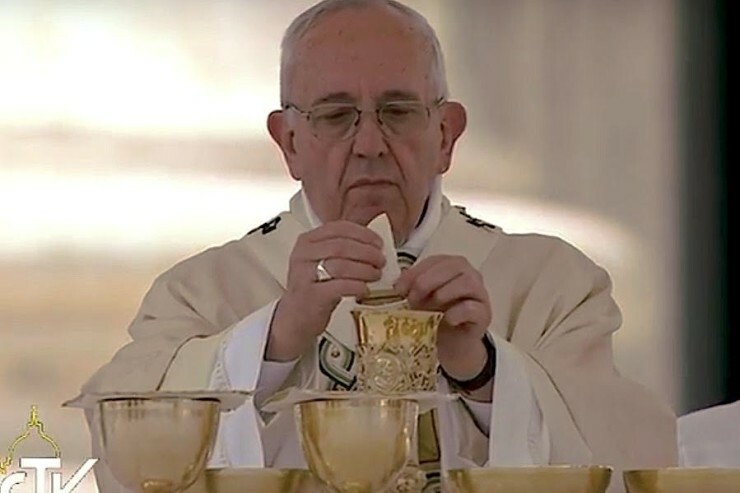 The Gospel of today’s Mass recounts Jesus teaching his disciples the “Our Father” prayer, and Pope Francis’ reflections on this prayer this morning during his homily at Casa Santa Marta are a good preparation for this weekend’s celebration of Father’s Day in many countries. According to Vatican Radio, the Pope noted that Jesus always used the word “Father” in the most important or challenging moments of his life, saying our Father “knows the things we need, before we even ask Him.” He is a Father who listens to us in secret just like Jesus advised us to pray in secret. The Pontiff said that this prayer taught by Jesus should be the cornerstone of our prayer life. “’Father.’ It’s about feeling that our Father is looking at me, feeling that this word ‘Father’ is not a waste of time like the words in the prayers of pagans: it’s a call to Him who gave me my identity as his child. This is the dimension of Christian prayer – ‘Father’ and we can pray to all the saints, the angels, we can go on processions, pilgrimages … all of this is wonderful but we must always begin (our prayers) with ‘Father’ and be aware that we are his children and that we have a Father who loves us and who knows all our needs. This is that dimension,” the Pope said. Francis said that the part of the prayer about forgiving trespasses springs from this same certainty, since we are all brothers and sisters of the same family. Rather than behaving like Cain who hated his own brother, he said, it’s so important for us to forgive, to forget offences against us, that healthy attitude of saying ‘let’s forget this’ and not harbour feelings of rancour, resentment or a desire for revenge.